It’s Newton PorchFest sign-up time! 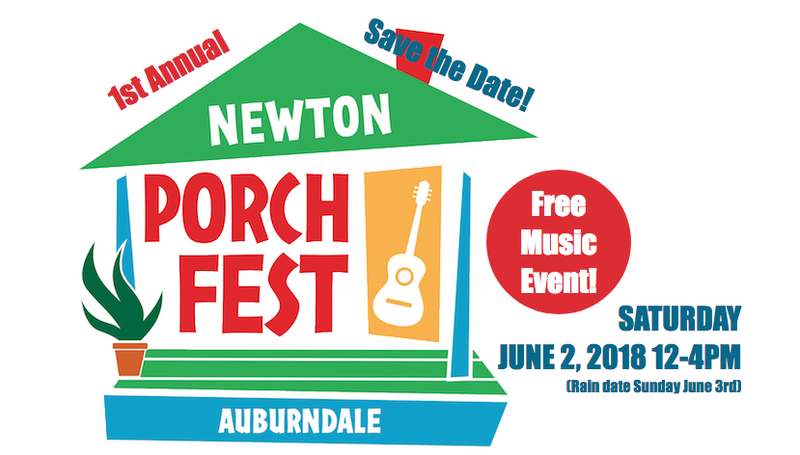 Posted on April 2, 2018 by auburndalecommunitylibrary | Comments Off on It’s Newton PorchFest sign-up time! Musicians: Are you a musician that wants to perform? All genres are welcome! Porch Owners: Are you an Auburndale resident that has an available porch, driveway or lawn on June 2nd? Other Volunteers: Are you interested in helping in other ways? Donations: As this is a grassroots effort, any and all donations help.